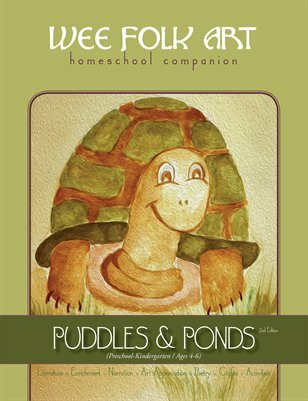 This summer enjoy the outdoors with Puddles & Ponds. You can use this laid-back guide to continue your learning into the summer. Learn about clouds, rainbows, and the water cycle. Spend time exploring pond life, tracking the weather, and creating sidewalk art.